Granite countertops and marble countertops are in high demand for new and renovated kitchens and bathrooms. Both add a lovely sense of extravagance to your home. While both options are widely popular, many people don’t understand all of the differences between marble and granite countertops. The experts here at Granite Huggers have compiled a comparative guide so that you can compare and contrast the two options to decide which will be best for your home. Marble and granite each have a very distinct, high-end appearance. Marble generally comes in lighter or darker colors with large vein-like patterns. Most marble is white but it is not uncommon to find other shades of marble as well. Marble tends to be more consistent as far as the color and marbling go. Granite countertops have a wider variety of color options. Rather than having vein-like patterns, granite appears to have grains or pebbles which many people prefer over marble. The multi-colored look of granite can provide a better opportunity for customization with more accent colors. Granite also comes in a wider variety of patterns which can provide a more unique look to your home. Marble and granite are created in different ways. Marble is a crystalized form of limestone that is created when limestone is exposed to high pressures and temperatures over a very long period of time. Granite is a granular, very hard, crystalline rock consisting of quartz, mica, feldspar and more. It’s a natural stone that is very strong. Granite typically contains naturally occurring fissures which contribute to its beauty. Marble is the softer material of the two and is not scratch resistant. In fact, marble tends to scuff and scratch fairly easily. Marble is also not impervious to heat damage. Placing a hot pan directly onto a marble countertop may cause discoloration. Marble is also very vulnerable to etching and acid erosion. Granite, on the other hand, has a higher threshold for all of these things. Granite is a harder material and is better able to protect against scratches and chipping. Granite can also withstand much higher temperatures than marble and should not discolor or crack if it comes in contact with a hot pan. Granite countertops also stand up to etching and acid erosion much better than marble does. The difference in characteristics tends to make granite countertops a favorite in the kitchen and marble more popular in bathrooms. Marble is also susceptible to staining because it is more porous than granite. Both types of countertops need to be regularly sealed to help extend their life and maintain their beauty. As mentioned above, both types of countertops should be sealed regularly. Granite, while significantly less porous than marble, is still porous nonetheless. Marble needs to be sealed twice a year in order to prevent its more permeable surface from sustaining damage while granite simply needs to be sealed every other year. Marble countertops are viewed as being much higher maintenance than granite countertops due to their sealing requirements and the urgency when it comes to cleaning up potentially staining or etching materials. Granite is considered to be only moderate maintenance with its sealing requirements. If you do happen to spill a staining material on your marble you will want to be sure to clean it up as soon as possible. With granite, it is still important to clean up any potentially staining spills; however, they are significantly less likely to stain your granite countertop than your marble countertop. Marble tends to be the more expensive of the two materials; however both can vary in price depending on the pattern and colors incorporated into each piece. Styles that are in high demand typically are more expensive than less desirable colors. Granite countertops typically price between $75 and $175 per square foot while marble countertops price out between $100 and $200 per square foot. Both options will vary depending on the style you choose along with the style of sink that you select and the design of the corners and edges that you choose. Both options should be professionally installed as they are extremely heavy and can be quite difficult to handle. 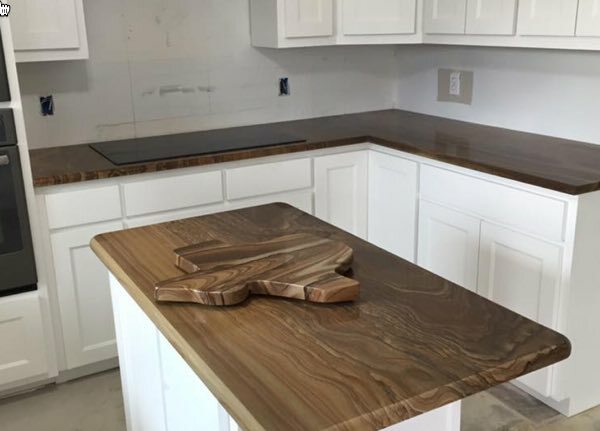 A specialty shop will custom cut your countertops so that they fit your home precisely and to the exact specifications that you request. While both options prove to be high-end selections, marble tends to reflect a more luxurious feel than granite. This can make marble a preferred choice despite its greater susceptibility to damages. However, many people do prefer the look and durability of granite countertops to that of marble, particularly in the kitchen. Whatever your preference, we can help you decide which option is best for your home. If you have any questions about marble or granite countertops, please contact Granite Huggers at (972) 670-4533.